People of all incomes are always asking me about the tax credit program, asking me what it does, who it helps. They ask me why it takes so long to build housing and why there isn't more affordable housing options. In our great state of California, more than 1.7 million households spend more than half of their monthly income on rent, leaving too little for other necessities like food, medical care, and transportation. For example, one of our newest projects in San Marcos, CA., isn't completed yet, but the waiting list is already closed. With over 2000 applicants, we had to cut it off. Peoples lives depend on adequate housing and we couldn't lead anyone else on. 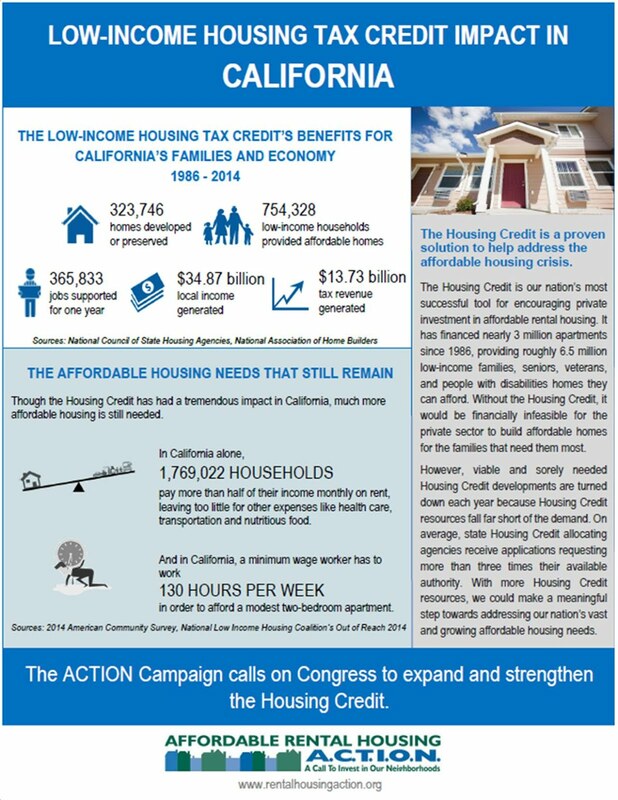 This past July, Senator Maria Cantwell and Senate Finance Committee Chairman Orrin Hatch (R-UT) introduced the Affordable Housing Credit Improvement Act of 2016 (S. 3237), a comprehensive bill to expand and strengthen the Housing Credit. California's lack of affordable housing is getting worse and needs a solution now. 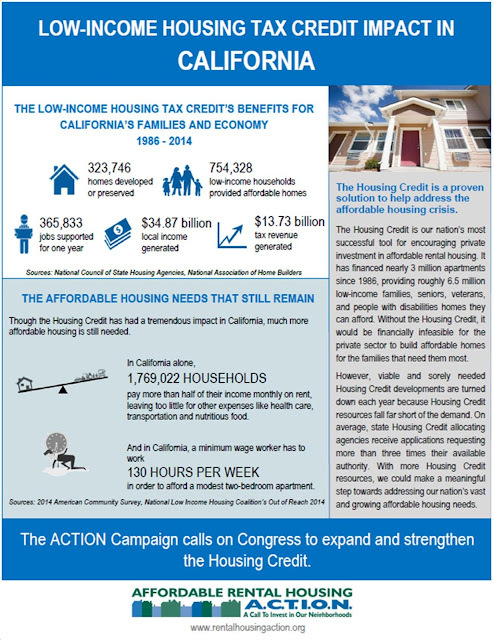 Join us in calling on our Congress to expand and strengthen the Housing Credit program!